“The operator of the McDonald’s chain in Japan continues to experience drama with its side menu offerings. 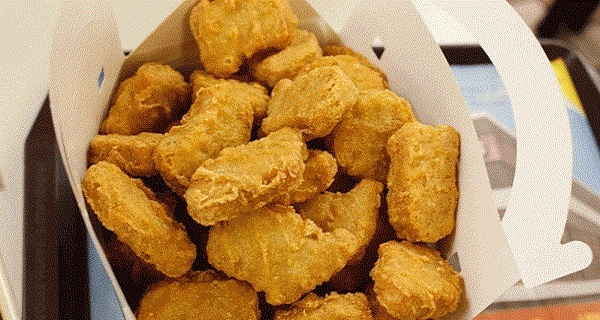 A piece of vinyl was found in a chicken nugget sold over the weekend at one of its restaurants in the northern prefecture of Aomori, a spokesman for McDonald’s Holdings Co. (Japan) Ltd. said Monday”. This is not the first time a consumer finds gross “things” in items offered at McDonald’s. Starting from the dead mouse found in coffee sold in one of McDonald’s chains in Canada, to the dental material and human tooth found in fries, it seems like the reports about food “enriched” with hazardous and inedible material will never end. McDonald’s struggles with plummeting sales due to the damaged brand name and reduced customer support. McDonald’s had to deal with another scandal last summer when Shanghai Husi Food Co. was accused of reusing and repackaging expired meat the fast-food clients in China. This scandal was a real bomb and several executives of the US-owned meat supplier ended up arrestedor detained.